Brands trying out virtual reality as part of a marketing strategy might be wary about whether spending on the emerging platform is worth it. But new research suggests the investment could be paying off in brand affinity and increased purchases. Greenlight VR released results this week from its survey of 1,300 adults that found the majority of consumers—71 percent of them—feel that VR makes brands seem "forward-thinking and modern." 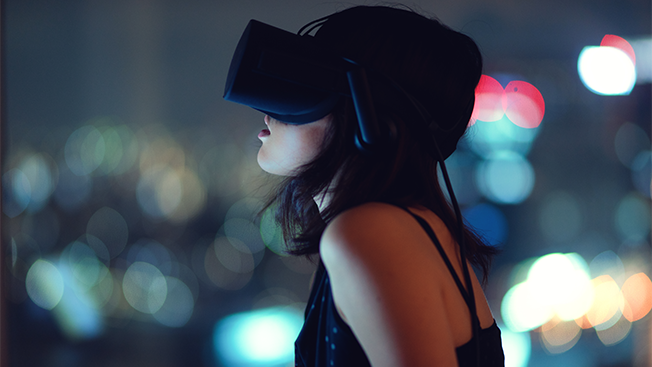 However, there's even better news for brands' bottom lines: 53 percent of respondents said they'd be more likely to purchase from a brand that uses VR than from one that doesn't. "We're seeing specific VR activities have unique emotional footprints, offering fascinating insights for those who are considering their VR strategies," Steve Marshall, svp of research and consulting for Greenlight VR, said in a statement announcing the findings. "For example, among our sample, watching a live broadcast event in virtual reality generates significantly higher ratings of positive emotions such as 'happy' and 'energetic' when compared with playing a VR video game." Even those who have never experienced VR had good things to say about the technology, with 91 percent reporting positive feelings after watching an informational video about it. Among those who haven't tried VR, 65 percent were interested, 32 percent were surprised at what it could do, 25 percent felt "happy" and 58 percent reported being "amazed." Brands in a variety of industries have been trying out virtual reality. Last year, The North Face used a virtual dog-sledding experience to help sell winter coats in South Korea. This spring, during South by Southwest, McDonald's developed an HTC Vive experience that let users paint their own Happy Meal boxes. And just this month, United Airlines has taken to the road with Oculus Rift headsets to tout its new Polaris business class. The VR industry could be in the midst of its first $1 billion year, according to a report from Deloitte Global, with around $700 million coming from hardware sales and the rest coming from content. "Greenlight VR has been researching consumer sentiment toward virtual reality since 2014, and this is our most conclusive study yet, tying together attitudes and intended action with branded experience exposure," wrote Greenlight VR CEO Clifton Dawson. "If the recent success of Pokemon Go isn't enough, this data provides concrete evidence to experience marketers who are currently designing for the new experience economy."